Summary: A new study reveals sleep deprivation can lead to an immediate increase in amyloid beta. 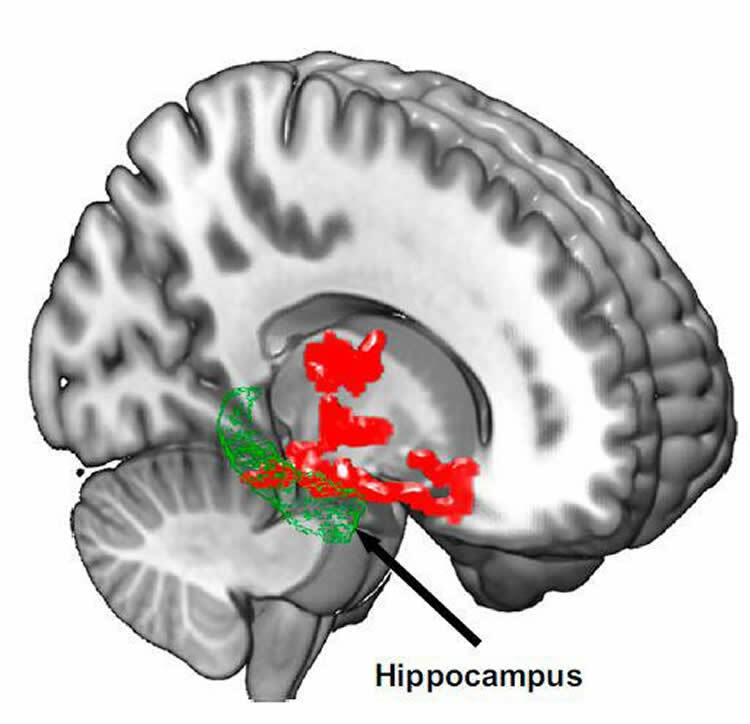 Brain imaging after one night of sleep deprivation revealed beta-amyloid accumulation in the hippocampus and thalamus, regions affected by Alzheimer’s disease NeuroscienceNews.com image is credited to PNAS. Funding: NIH/National Institute on Alcohol Abuse and Alcoholism funded this study. Image Source: NeuroscienceNews.com image is credited to PNAS. NIH/NIAAA “Lack of Sleep May Be Linked to Risk Factor for Alzheimer’s.” NeuroscienceNews. NeuroscienceNews, 13 April 2018. NIH/NIAAA “Lack of Sleep May Be Linked to Risk Factor for Alzheimer’s.” http://neurosciencenews.com/sleep-alzheimers-risk-8782/ (accessed April 13, 2018).